Let's visit the largest ski resort in all of North America! Whistler Blackcomb has it all, including over 8,100 acres of snow-covered slopes, 16 alpine bowls, 3 glaciers, world-class terrain parks and over 200 marked trails! Check out the snow conditions that you can expect here! Whistler is a skierֹ/snowboarder's dream destination, the ultimate in big mountain experiences. There is so much open terrain to explore on Whistler and Blackcomb mountains that a full six days won't feel like enough time! When we're not shredding the gnar, we'll be exploring the village of Whistler and all its attractions. We can take advantage of the world class dining and vibrant nightlife available in Whistler. I hear the Apre scene in Whistler not to be missed. There are even more things to do just outside of Whistler village. One of the main attractions is the Scandinave spa. Imagine soaking in those hot tubs looking at the gorgeous mountains. We can also visit the Olympic village and take runs down the Olympic bobsled track! This is the house for our stay in Whistler. Luckily for us the lifts are only a 7 minute walk from the house. It's so close you can even go home for lunch! This 4 bedroom house has a huge great room where we can hang out and relax. There's a big screen TV, a fireplace, and lots of comfortable seating. This is where we'll relax after a day on the slopes and catch up on all the great stories. In typical SFUAC friend-family fashion, we'll have group breakfasts and dinners at the house. We can leave the house with plenty of energy for the day, and we can come home to a hot cooked meal after a long day on the slopes. This also helps us keep the costs way down for the trip. This is a once in a lifetime experience at one of the best ski resorts in the world. Don't miss out on this amazing experience! - Celebrate the start of our ski vacation! 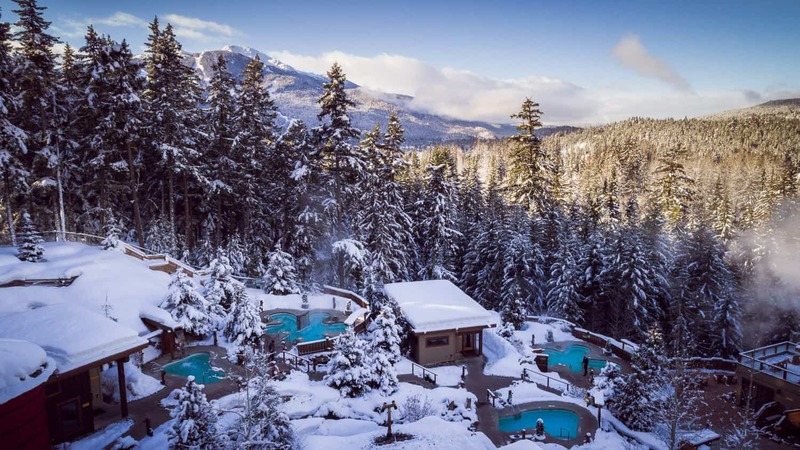 If you do not ski or snowboard there are plenty of other things to do in Whistler including snow tubing, snow shoeing, snow mobile riding, shopping, or just chill at the house.